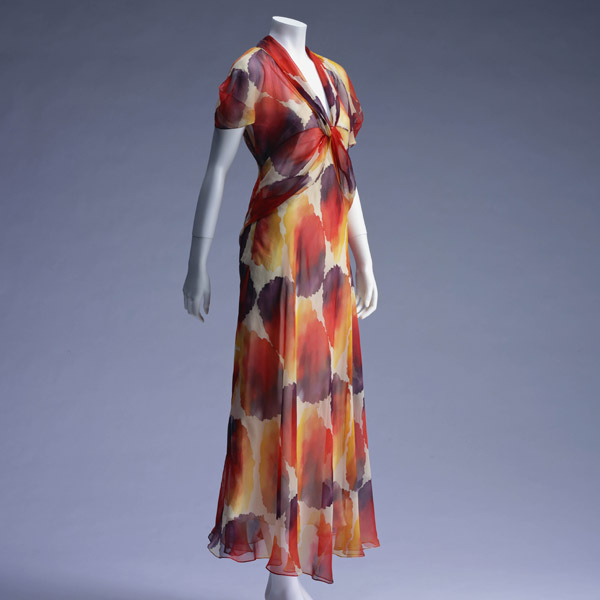 White silk chiffon with red and yellow shaded print; bias cut; long sash twisted and crossed at bodice front, then extended and sewn on neckline as collar. 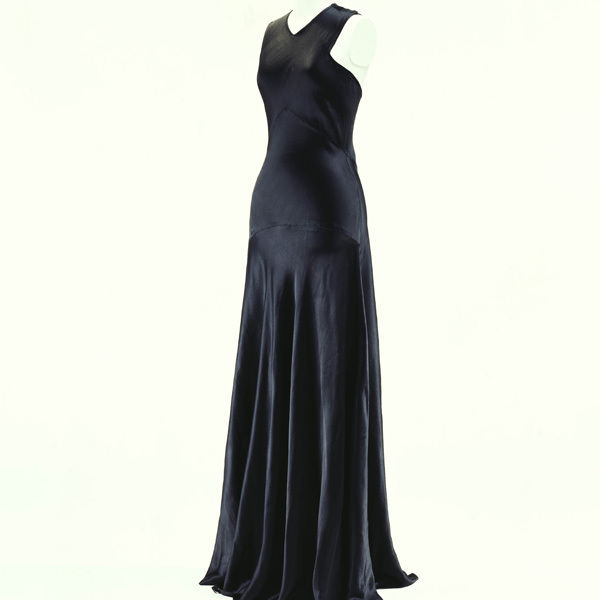 Using soft chiffon cut on the bias, the lines of the body are enlivened. 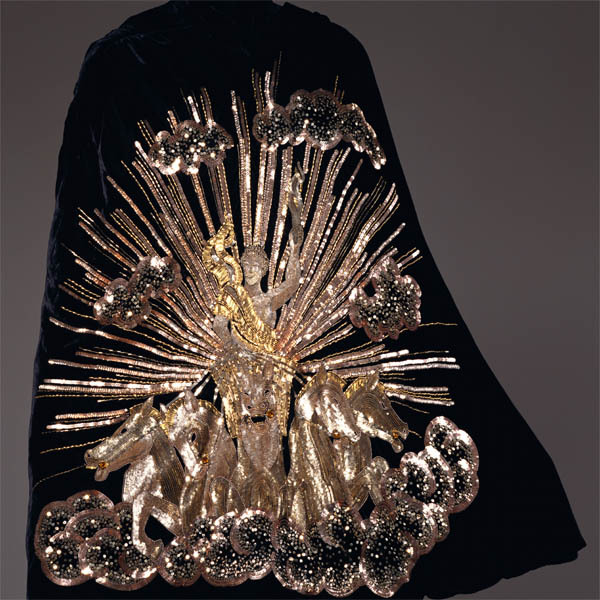 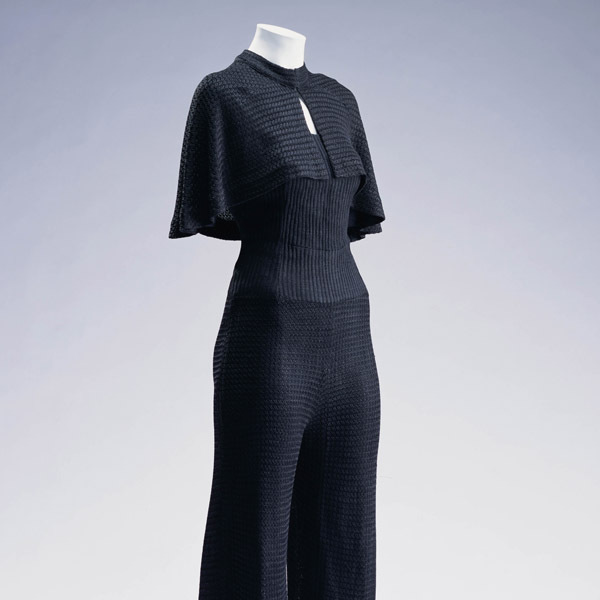 Moreover, as the cloth at the chest is twisted, the garment gives of a full three-dimensional feeling. 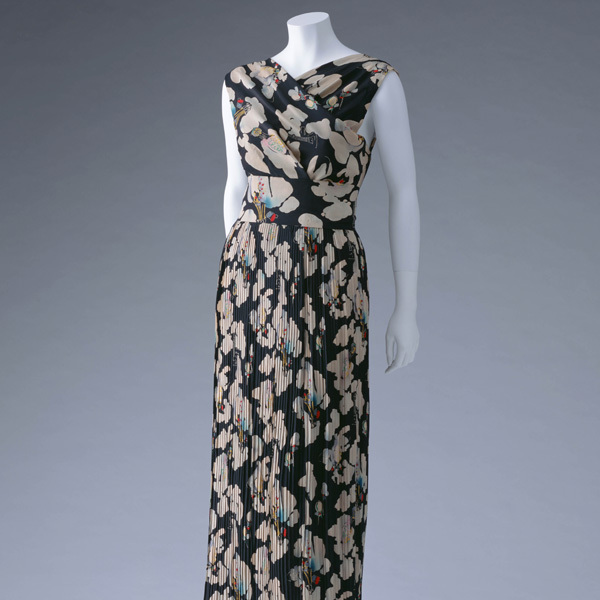 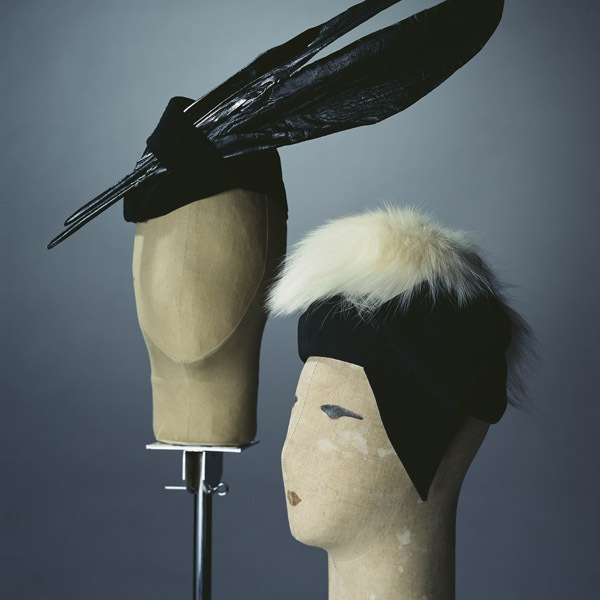 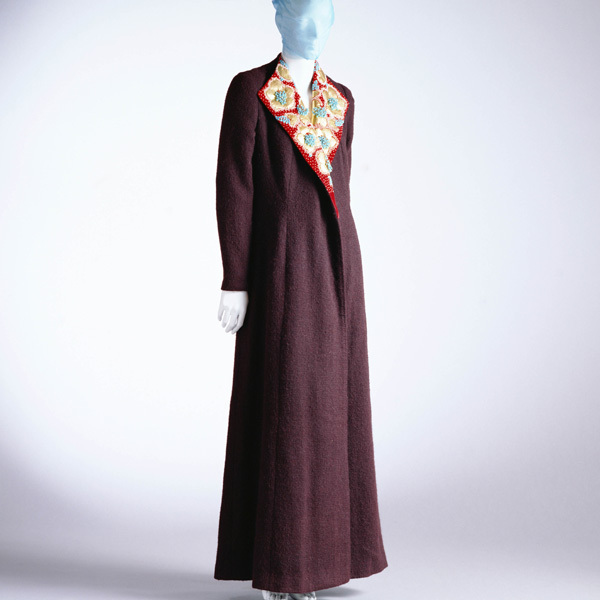 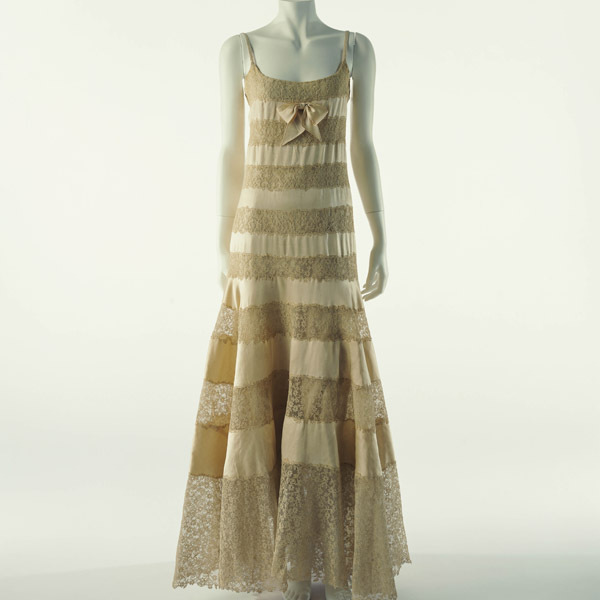 This dress' decorative techniques are characteristic of Madeleine Vionnet at that time. 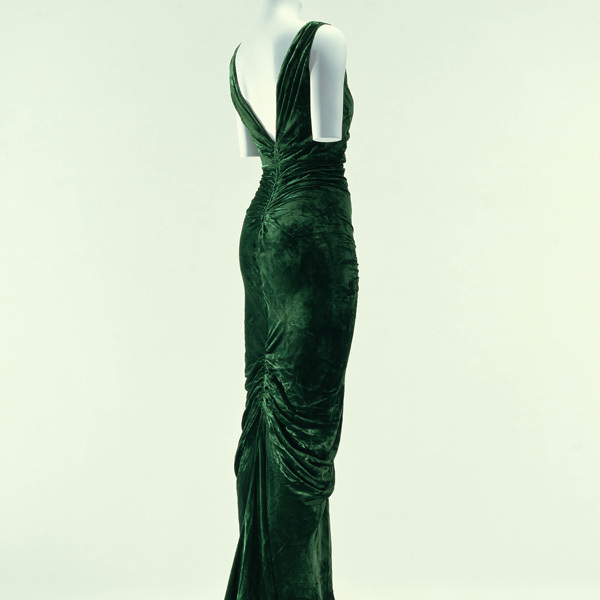 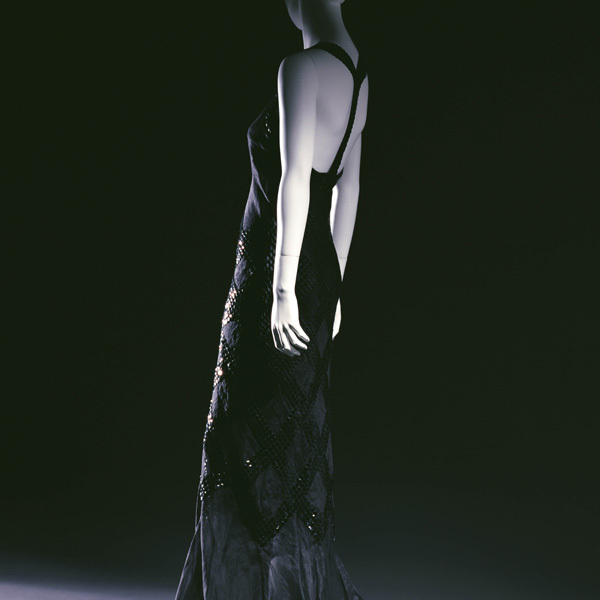 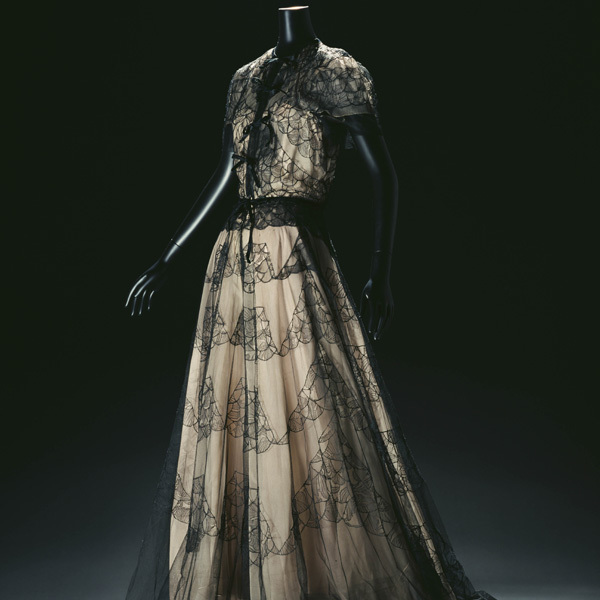 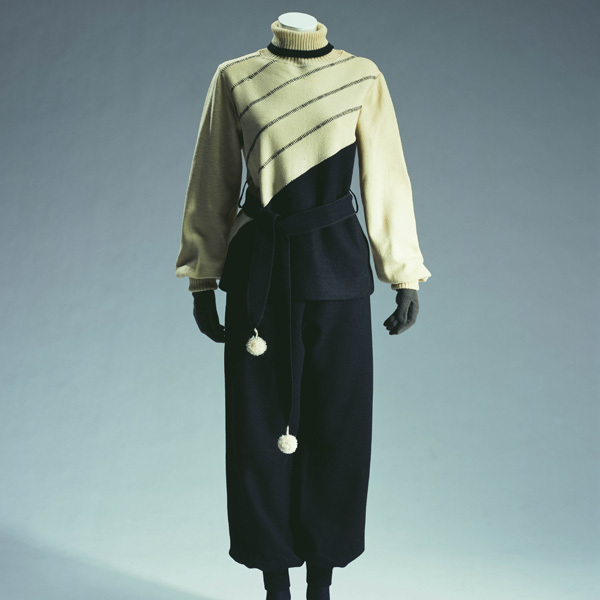 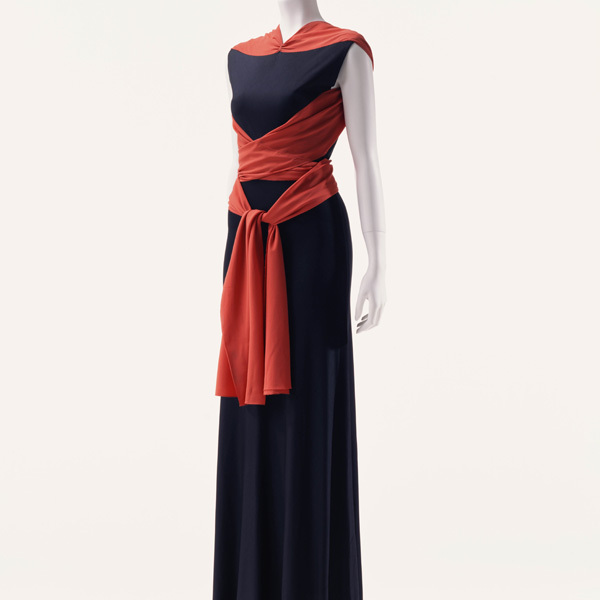 Vionnet's creativity and haute couture handwork is splendidly united in this garment. 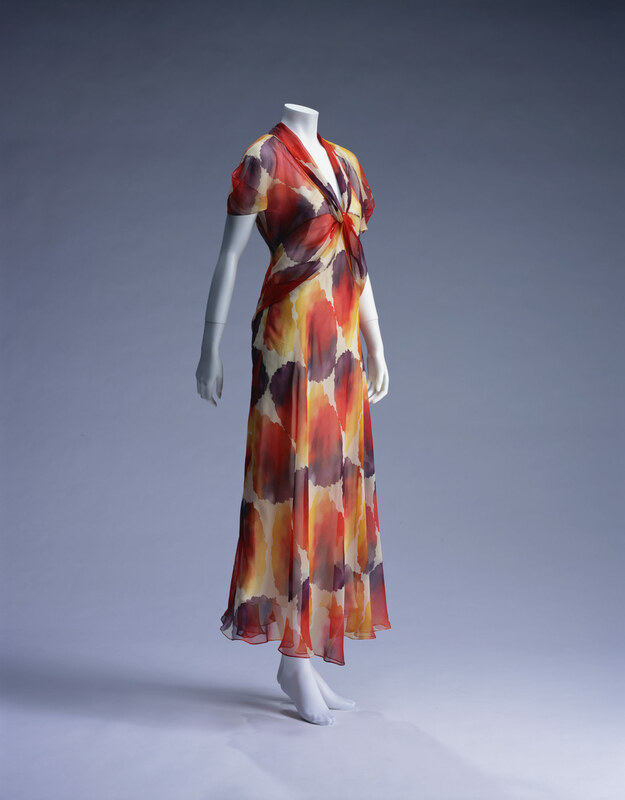 Lightweight material gained in popularity in the 1930s, as it was useful for achieving the flowing line fashionable at the time. 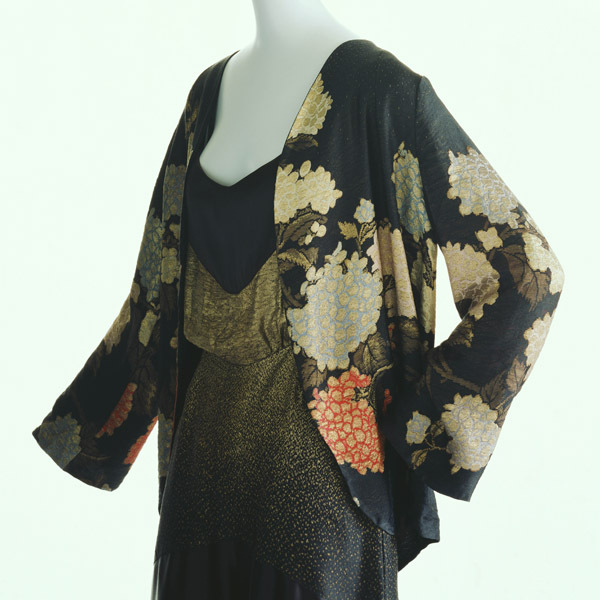 Joining such thin, transparent fabric together without causing bumps to form necessitated a skilled seamstress' techniques.